Whether you're a foodie or a thrill-seeker. (SPOT.ph) Singapore is often a go-to Asian destination for its outlet malls, shopping centers, and hawker centers. But this city never fails to surprise tourists as it regularly opens more attractions for travelers of any kind—whether you’re a foodie, a thrill-seeker, or a culture vulture. We round up all the new places that opened in the last couple of years. It's the perfect time to not be a creature of habit. Singapore Zoo may have been around since 1973, but it's never stopped opening new attractions. 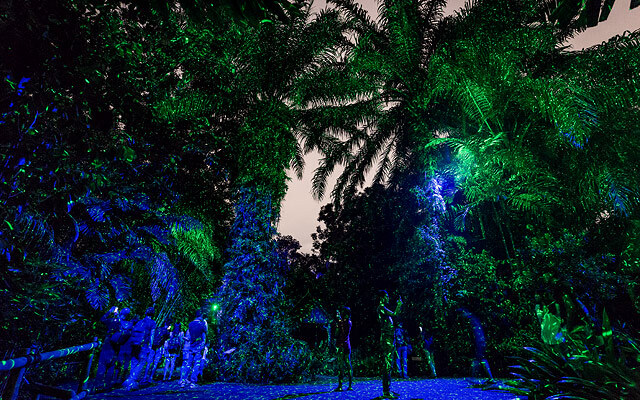 One of which is the Rainforest Lumina, an interactive multimedia night walk that opened to the public on July 1 and runs until February 9, 2019. The one-kilometer path features smoke effects, pathways lit with globe-shaped glass lamps, and a small waterfall that seems to glow in the dark. There are even interactive attractions, such as one where you have to shout on a microphone to make cool animations appear and one where you have to jump on a circular platform to make a video projection come to life. Rainforest Lumina is at Singapore Zoo, 80 Mandai Lake Road, Singapore. It is open from 7:30 p.m. to 12 a.m.
Andaz Singapore, a five-star boutique hotel by Hyatt that opened in November 2017, proves that high-end accommodation doesn't always have to be formal and intimidating—they just have to be stylish. This is reflected by their friendly staff, all the way to its dining room vibe reminiscent of the traditional alleyway shophouses. 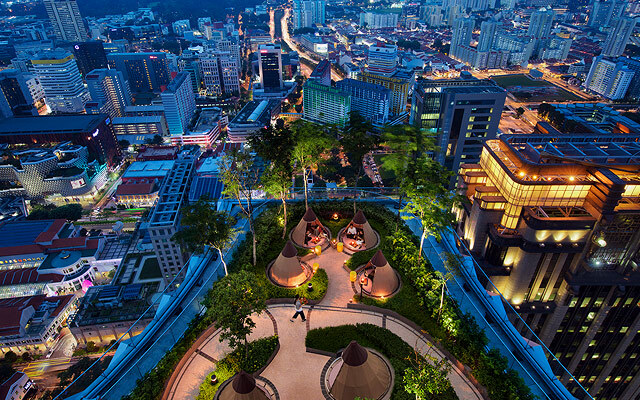 Rooms come with a view of Singapore's skyline, but the icing on top is the hotel's rooftop bar, Mr. Stork, which provides 360-degree views of the city. Andaz Singapore is at 5 Fraser Street, Singapore. 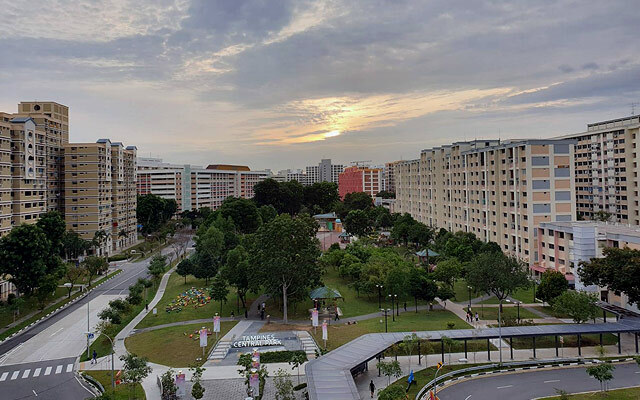 Singapore is also known as a Garden City because of its abundant lush greenery, tree-lined boulevards, and pocket gardens within housing estates and even commercial areas. 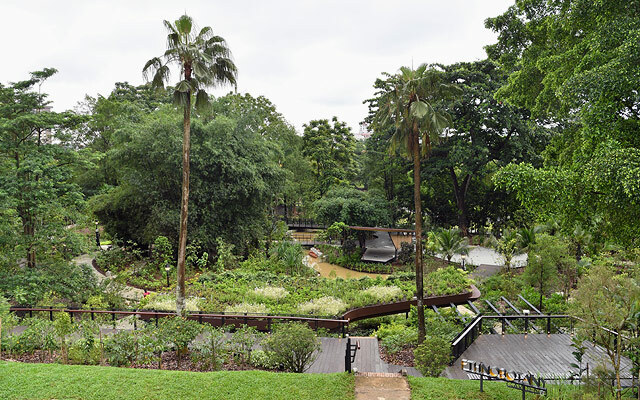 Adding to the country's verdant attractions is their first-ever Ethnobotany Garden, which showcases species used by early settlers and indigenous people in Southeast Asia. It also houses an exhibition where visitors can learn the significance of these species as food, housing materials, and medicine in the local community. Singapore Botanic Gardens is at 1 Cluny Road, Singapore. It is open daily from 5 a.m. to 12 a.m.
Our Tampines Hub is Singapore’s first and largest community hub. It offers more than 30 lifestyle facilities, including a rooftop swimming complex, a local library, and a festive arts theater. One of its highlights is the 24/7 hawker center, which boasts 42 stalls and 800 seats. Drop by the Halal chicken rice stall, which is run by Chef Kiang Jon Toh of the award-winning ChatterBox at Mandarin Orchard. Our Tampines Hub is at 1 Tampines Walk, Singapore. Parkview Museum, a private contemporary art museum that opened in mid-2017, is housed in Singapore's Parkview Square, referred to as the state's very own Gotham City for its stark similarity with the Batman residence. 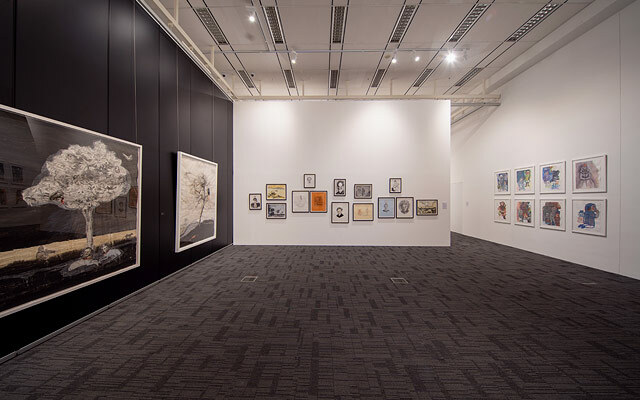 Displays range from never-before-seen art installations, such as a shark-inspired piece by Li Jiwei, and traditional charcoal-on-paper masterpieces, such as a poignant work by Peter Martensen. Changing exhibits run for at least three months. Best thing about it? Entrance is free! Parkview Museum is at 600 North Bridge Road, 3/F Parkview Square, Singapore. It is open from Monday to Saturday, 12 p.m. to 7 p.m. The Maritime Experiential Museum reopened its doors in December 2017 with an all-new interior design and state-of-the-art interactive exhibit. 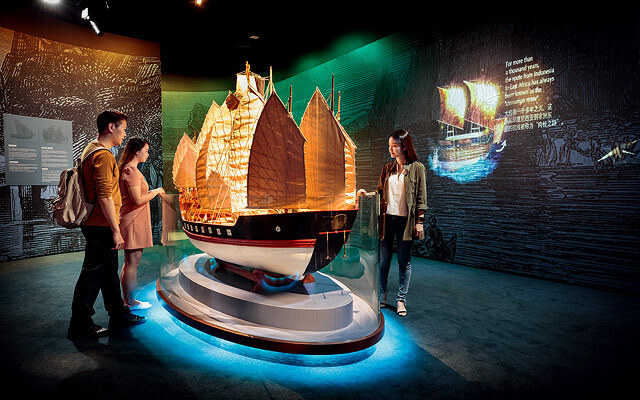 It still showcases the history of the famous Maritime Silk Route, which was an important trade route that connected Southeast Asia to the Arabian peninsula and all the way to Europe, but with holographs and life-sized props that make you feel like an actual seafarer. 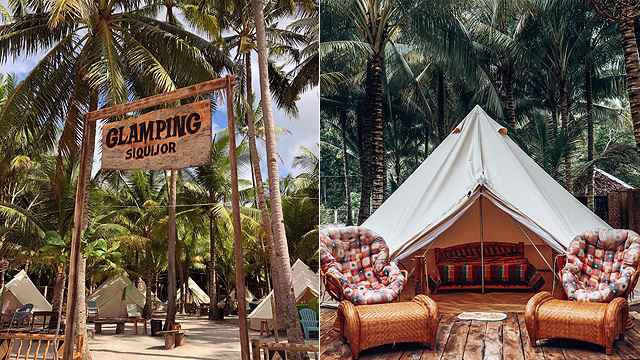 There are plenty of Instagram-worthy backdrops, too. Need we say more? The Maritime Experiential Museum is at 8 Sentosa Gateway, Sentosa Island, Singapore. It is open from 10 a.m. to 7 p.m. The Great Madras is located in Singapore's Little India district. 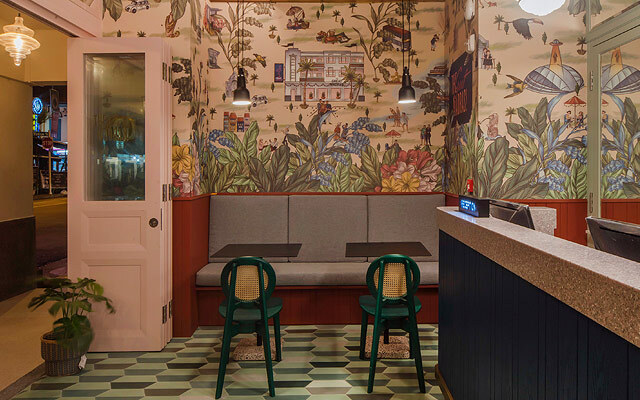 It features pastel-colored walls, vintage furniture, beautifully printed wallpapers, and Instagram-worthy murals. 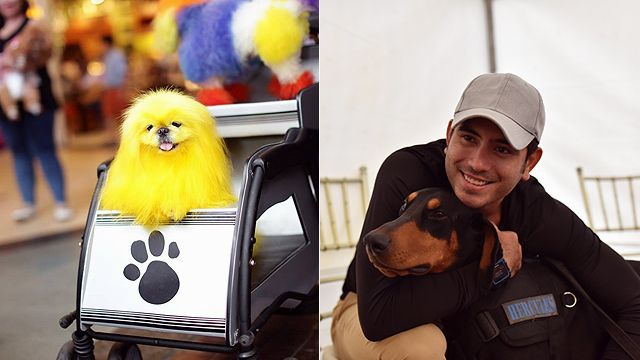 You know what that means—a photo shoot is in order. The Great Madras is at 28 Madras Street, Singapore. Dover Street Market, a shopping haven that originated along Dover Street in Mayfair, London, opened its Singapore branch in July 2017. What makes this new location interesting is that it is housed in a former British Army barracks on Dempsey Hill. Shop till you drop as you browse the new collections from luxury brands like Balenciaga, Celine, and Gucci. Dover Street Market is at Block 18, Dempsey Road, Singapore. 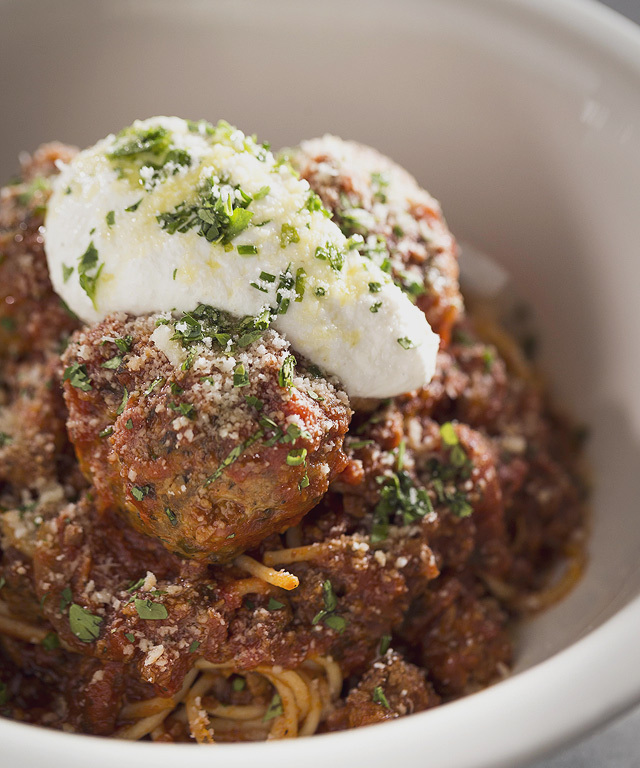 It is open daily from 11 a.m. to 8 p.m.
One pound of meatball made of fresh Imperial Wagyu Beef and Italian sausage, spiced and topped with whipped ricotta cheese—need we say more? This is the house specialty of LAVO Italian Restaurant and Rooftop Bar—originally a New York resto-bar which opened on the 57th floor of Marina Bay Sands in January 2018. You can also check out the sprawling outdoor bar and terrace as you party the night away with the Singapore cityscape as your backdrop. LAVO Singapore is at Marina Bay Sands, 10 Bayfront Avenue, Singapore. 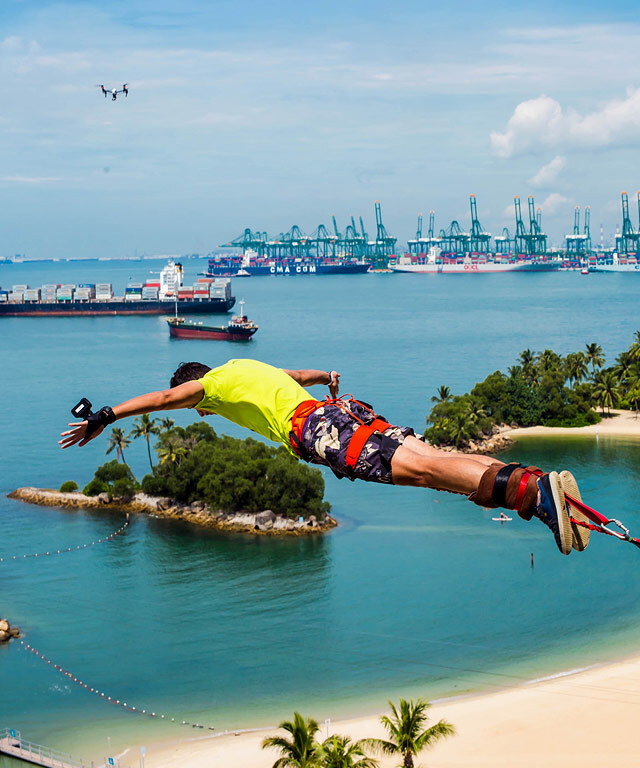 It is open daily from 5 p.m. to 2 a.m.
AJ Hackett Sentosa, a 50-meter high bungy tower that opened in November 2017, is perfect for thrill-seekers who just can't get enough of jumping off into the great abyss—we exaggerate, of course. It was developed by New Zealand entrepreneur AJ Hackett who popularized the extreme sport of bungy jumping as well as other gravity-defying attractions like the Vertical Skywalk and Giant Swing. 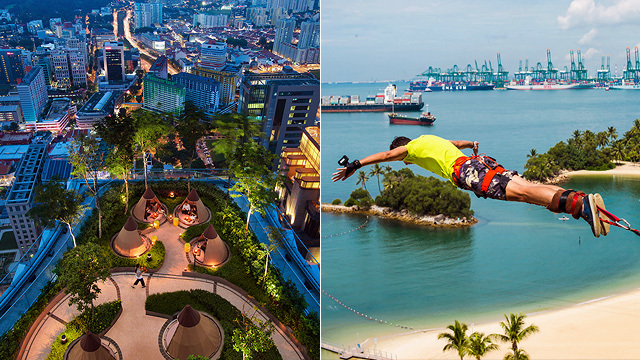 The view of Sentosa from the top, especially during sunset, makes it a destination in itself. AJ Hackett Sentosa is in Siloso Beach, Sentosa, Singapore. It is open from Monday to Thursday, 11 a.m. to 7 p.m.; and from Friday to Sunday, 11 a.m. to 9 p.m.